After the program and screening on Sunday October 5, join us at the breathtaking Cavallo Point for a reception. 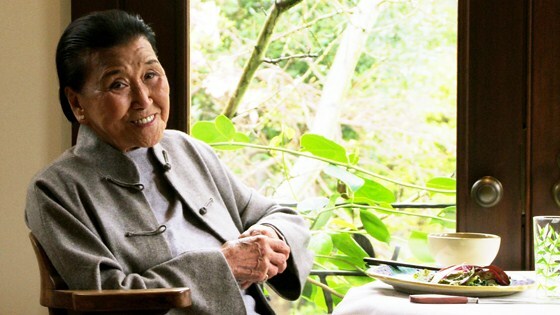 The Mill Valley Film Festival is proud to honor the contributions of renowned filmmaker Wayne Wang and the subject of his new film, legendary culinary artist Cecilia Chiang, with this special screening of Soul of a Banquet. Both Chiang and Wang have deep roots in the San Francisco Bay Area and, as immigrants and visionaries, have made extraordinary contributions in their respective artistic domains. As the owner-founder of the beloved Mandarin Restaurant, Chiang pioneered a new style of Northern Chinese cuisine. Wang’s films have often embraced the role of food in the creation and transmission of culture. We promise an unforgettable evening of culinary and cinematic delights. From director Wayne Wang comes this mesmerizing, moving homage to Cecilia Chiang, the celebrity chef who changed the face of Chinese food and culture in the Bay Area. In 1961, Chiang opened San Francisco’s world-famous Mandarin Restaurant, and a culinary star was born. Her unlikely journey from Beijing to San Francisco is brought to life as Wang (Chan Is Missing, The Joy Luck Club) goes beyond the secret spices and confidential kitchen talk to delve deep into the soul of this amazing, worldly woman. Centered around an absorbing, emotional interview with Chiang herself and sprinkled with colorful insights from Alice Waters and Ruth Reichl, Soul of a Banquet brings to the table a unique San Francisco success story while illuminating the reality of an immigrant finding a new home. Foodies and fans of Bay Area culture will find plenty to enjoy in this poignant celebration of life, family, and the perfect preparation of “beggar’s chicken. The Mill Valley Film Festival is proud to honor the contributions of renowned fi lmmaker Wayne Wang and the subject of his new fi lm, legendary culinary artist Cecilia Chiang, with this special screening of Soul of a Banquet. Both Chiang and Wang have deep roots in the San Francisco Bay Area and, as immigrants and visionaries, have made extraordinary contributions in their respective artistic domains. As the owner-founder of the beloved Mandarin Restaurant, Chiang pioneered a new style of Northern Chinese cuisine. Wang’s fi lms have often embraced the role of food in the creation and transmission of culture (Dim Sum: A Little Bit of Heart, The Joy Luck Club). We promise an unforgettable evening of culinary and cinematic delights.